To simplify artwork handling and pre-press preparation Labels for Africa recommends a high resolution PDF file, of course this would need to be unprotected. Ensure that your artwork is at no less than 300dpi at actual label size, Labels for Africa can only print what we have to work with, so rubbish in means rubbish out. 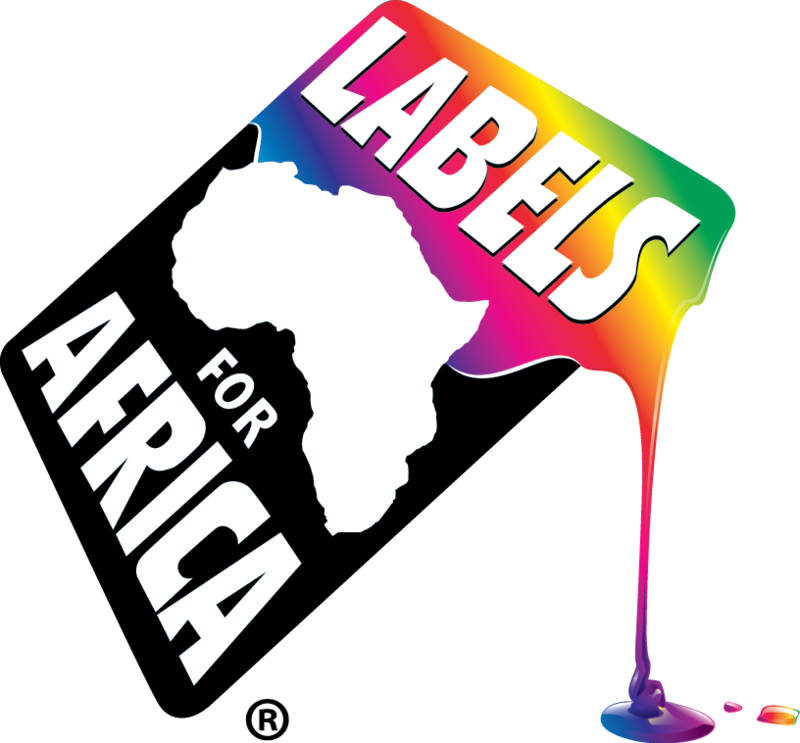 At Labels for Africa we use a CMYK printing process, so if your artwork has been saved as RGB, colour changes could and probably will be drastic when the image is processed by the press. This wastes time and could become costly to rectify in the design department. 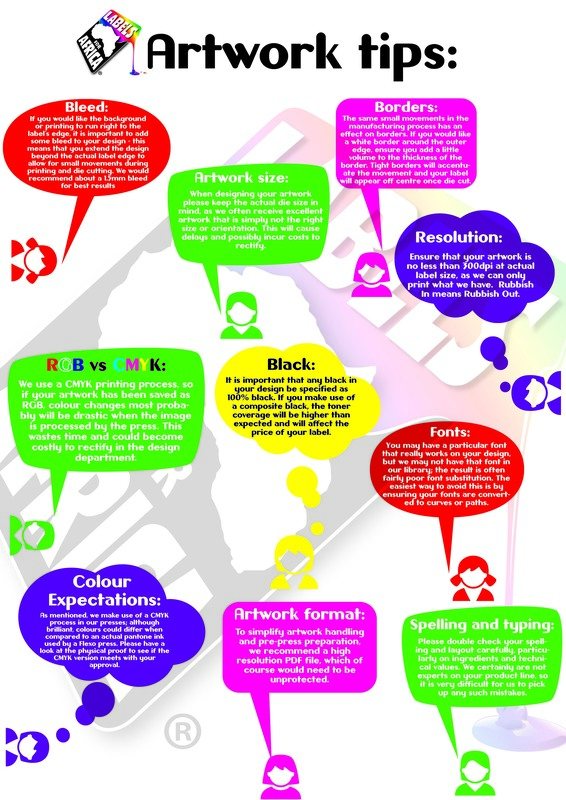 You may have a particular font that really works on your design, we may not have that font in our library, the result is often fairly poor font substitution. The easiest way to avoid this is to ensure your fonts are converted to curves or paths. If you would like the background or printing to run right to the labels edge, it is important to add some bleed to your design, this means that you extend the design beyond the actual label edge to allow for the small movements during printing and die cutting. We would recommend about a 1.5mm bleed for best results. The same small movements in the manufacturing process has an effect on borders. If you would like a white borders around the outer edge ensure you add a little volume to the thickness of the border. Tight borders will accentuate the movement and you label will appear off centre once die cut. Please double check your spelling and layout carefully. Particularly on ingredients and technical values. Labels for Africa are certainly not experts on your product line, so it becomes very difficult to pick up any mistakes on our side. As mentioned we make use of a CMYK process on our presses, although brilliant, colours could differ when compared to an actual pantone ink used by a Flexo press. Please have a look at the physical proof to see if the CMYK version meets with your approval. When designing your artwork please keep the actual die size in mind, we often receive brilliant artwork that is simply not the right size or orientation, this will cause delays and possibly incur costs to rectify. 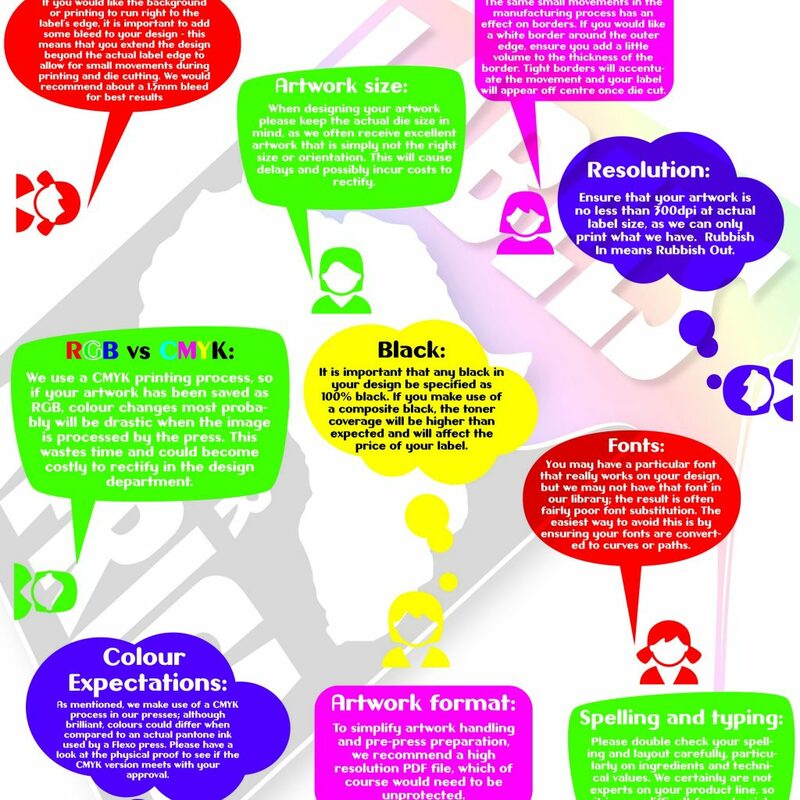 It is important that any black in your design is specified as 100% black, if you make use of a composite black, the toner coverage will be higher than expected and will affect the price of your label.